In the northern hemisphere, summer solstice officially kicks off the summer. For countries on this side of the world, the longest day of the year falls between June 21st and 23rd – but in the upper regions of Norway, Sweden, and Finland, the “longest day” lasts well more than a day. Here, the sun circles the sky, never dipping below the horizon for weeks on end. If you want to experience the white nights – to go on a hike, ski a slope, or just read a book outside in the middle of the night – head to these Nordic countries for the ultimate midnight sun road trip. Here’s the ultimate itinerary for you. 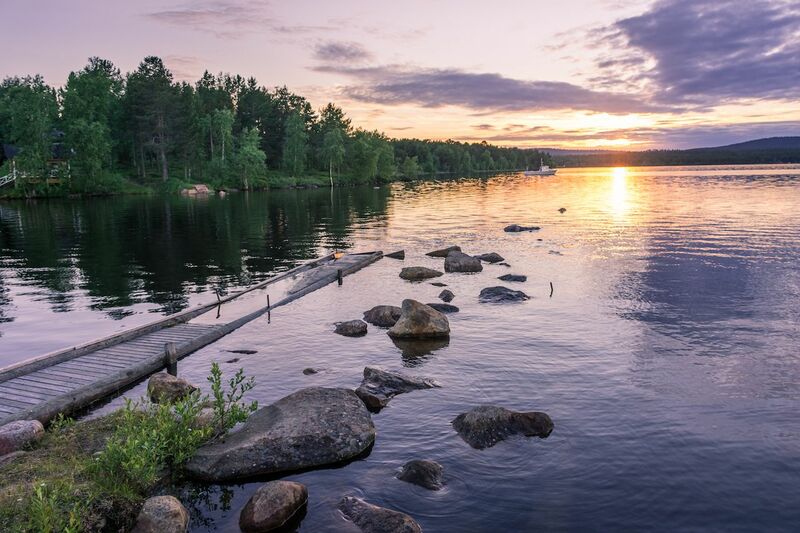 Although the sun does in fact set in Tampere during the longest days of the year – setting just past 11:00 p.m. and rising again over four hours later – it’s still a good first stop on your road trip. A two-hour drive north from Finland’s capital Helsinki, Tampere lies between two lovely lakes and is called the sauna capital of the world, due to its thriving public sauna culture. In Tampere you’ll understand Finns’ obsession with saunas, as these public saunas are spacious, clean, and the perfect relaxation to get into the summer frame of mind. Head down to Rauhaniemen Kansankylpylä for some löyly, which is the Finnish word for the rush of warmth you feel a few seconds after someone has tossed water on the sauna rocks. Then take a cooling post-sauna dip in Näsijärvi Lake. Afterwards, stroll through town to Laukontori’s newest restaurant/bar Kuuma, which also has its own public sauna. The next morning, before you head north, you can start the day with brunch and another sauna in Tullin Sauna. Totally relaxed after all those saunas, you’re ready for the seven-hour drive past endless forests to Hailuoto, in Finnish Lapland. You’re much farther north here, and during this time year, the sun won’t dip below the horizon until well past midnight, rising again less than two hours later. Even so, darkness never really sets in, giving you plenty of hours to explore this island offshore from the city of Oulu. Hailuoto is known for its serene nature and fishing village lifestyle. Finns believe that nature belongs to everyone, as long as you treat it respectfully. This makes the island ideal for hiking, and there are a couple of spots for camping on the island. Hailuoto’s slow lifestyle, forests, and beaches make it perfect spot to quiet down for a while and appreciate Finns passion for the outdoors. Four hours on the road, past yet more forests, and you reach the capital of Lapland, Rovaniemi. You’re on the Arctic circle now. If it’s late June and you check the local newspaper to find out when the sun will set, you’ll read: July 7. Even then, the sun will only be gone for 45 minutes. Rovaniemi is famous as the home of Santa Claus, and in winter plane-loads of tourists arrive at its airport from as far as the UK and Japan to visit Santa’s Village. But Rovaniemi is also an ideal place to visit in summer to experience the white nights. You can stay in cabins along the Ounasjoki river, or at the base of Ounasvaara, Rovaniemi’s tallest point. Head to the top of Ounasvaara to watch the sun work its way along the horizon, without ever dropping out sight. You can mountain bike, hike with husky dogs, go horseback riding, or even float in a quiet lake, all in the middle of the night. As you head north from Rovaniemi, the trees get progressively shorter, looking more compact and prepared to withstand two months of darkness a half-year from now. But around the summer solstice, Inari, reached in under four hours, basks in unending sunshine for two months. Actually, “basks” is too strong a word – the sun never gets high in the sky. Instead, it creates the sense of perpetual morning, illuminating everything with a crisp, white light, which is even more magical. 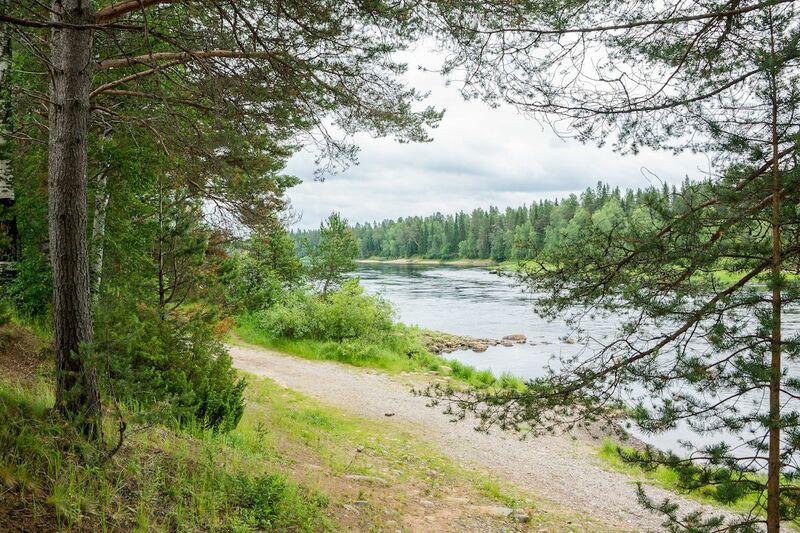 Inari is home to members of Finland’s Lapp, or Sami, population, and the area has four official languages: Finnish, and three versions of the language spoken by these once semi-nomadic people. The Sami still herd reindeer, and in Inari many of their products are for sale. Check out the Siida Museum of Sami culture on the banks of Lake Inari, and explore Lemmenjoki National Park, the largest national park in Finland. Lakeside cabins are a good place to rest before your last northward push. 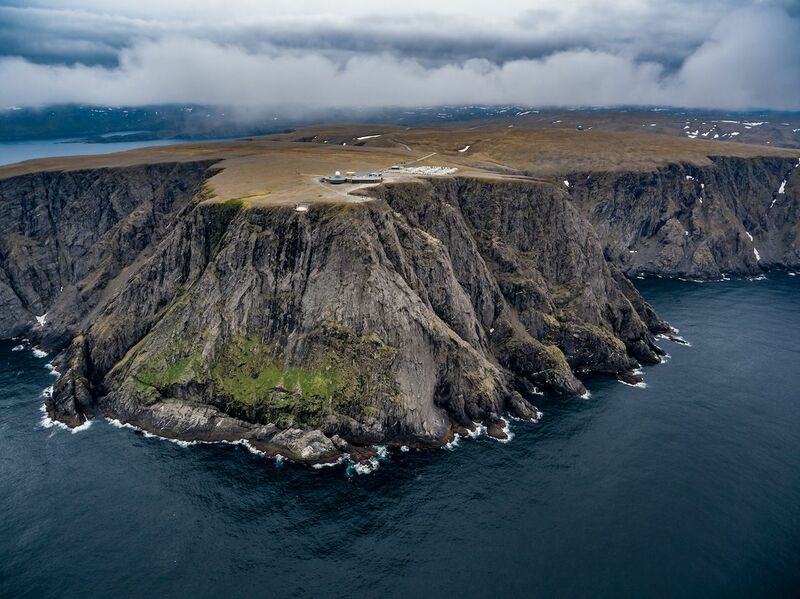 The journey to Nordkapp, or North Cape, is stunning. 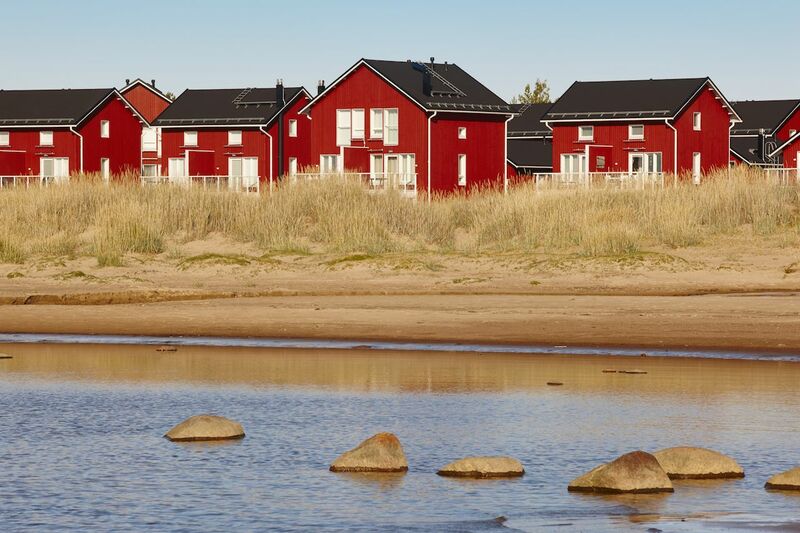 As you cross into Norway and drive along the waters of the Barents Sea, you’ll soon see iconic red or yellow houses, each one far from any neighbors, on the shoreline, with steep peaks rising behind them. You may marvel at the hardiness of people who could live in such remote conditions in a place that can endure month of darkness. In theory, Nordkapp sees continuous sunshine from mid-April through the end of August. The reality is that Nordkapp is shrouded in fog most of the year, but it’s worth going there to say you’ve reached the northernmost point in Europe. Add to that rugged landscapes, hundreds of thousands of puffins, gannets, and cormorants, and it’s a dream spot for nature lovers. There are plenty of camping and hotel options all over the island of Nordkapp and on the European mainland just south of it. 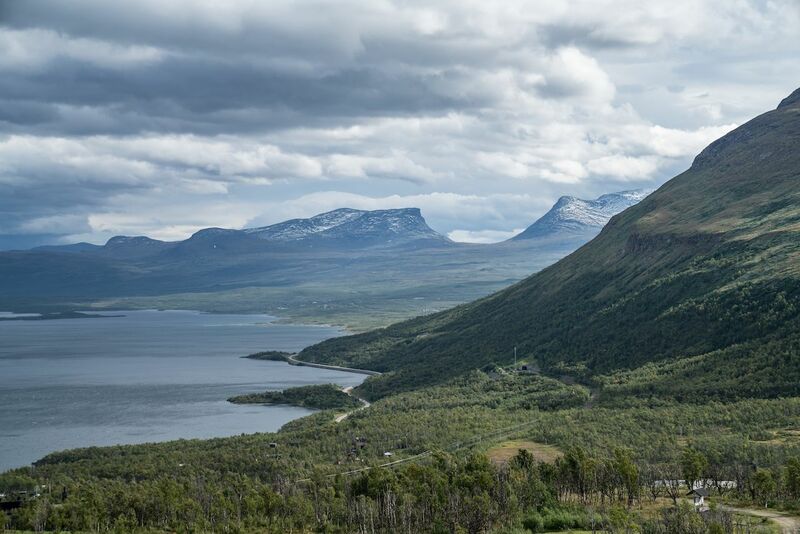 The drive to Tromso, south of Nordkapp, is a long one, since the fjords that slice up Norway’s coastline make getting from point A to point B a circuitous undertaking. But while the drive will take many hours, it’s one you won’t forget. Inland, you’ll pass arctic-looking reindeer trodding over treeless landscapes of peat moss, while by the water you’ll marvel at tiny fishing villages backed by soaring mountains. 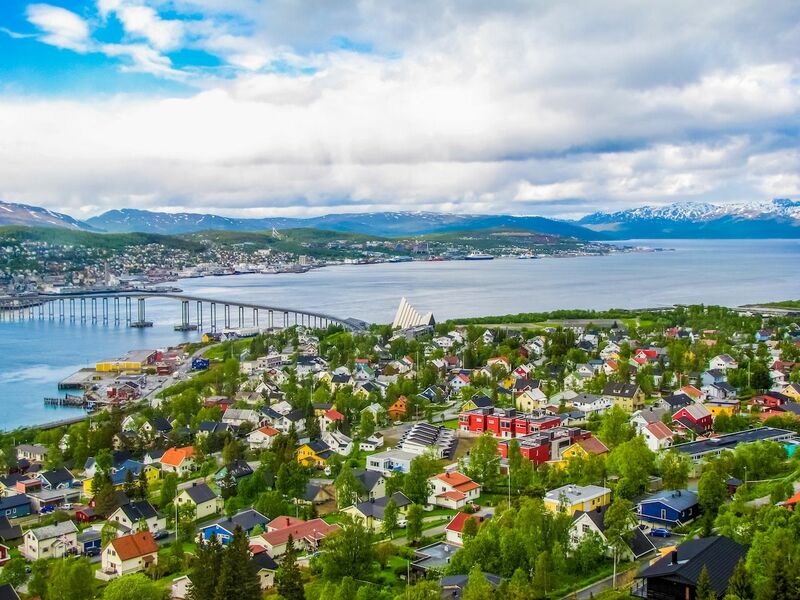 After so many days of quietly contemplating the white nights of summer in natural settings, you’ll appreciate arriving in Tromso, the largest city in northern Norway and a cultural center of sorts. Check out its wooden buildings, as well as its more modern buildings, like the angular Arctic Cathedral – where you can also hear choral, classical, or organ music at 11:30 p.m. every night through mid-August. The three-and-a half-hour journey into Rikgränsen, a ski resort on the Swedish side of the Norway-Sweden border, is the right call here. Driving any further south along Norway’s craggy coast will take many more days of travel. 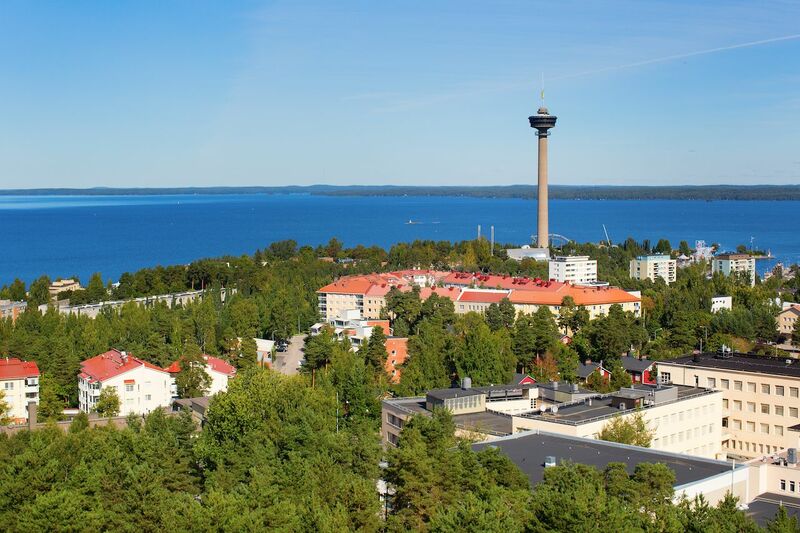 From Riksgränsen, you can head south in Sweden along the Gulf of Bothnia, perhaps overnighting in Umea, a seaside university town, before finishing up in Stockholm. Is there really a better way to celebrate summer than skiing with the midnight sun? At an altitude of under 4000 feet, Riksgränsen is high enough to have some snow into the summer, keeping at least 2 of its 16 lifts open for skiing during the night. There are plenty of lodging options, from condos to hotels. And of course there is daylight, lots of it. Even if you don’t ski, take a gondola up to view the sun’s journey, as it arcs around its way around you, staying above the horizon – as it will do for weeks to come.